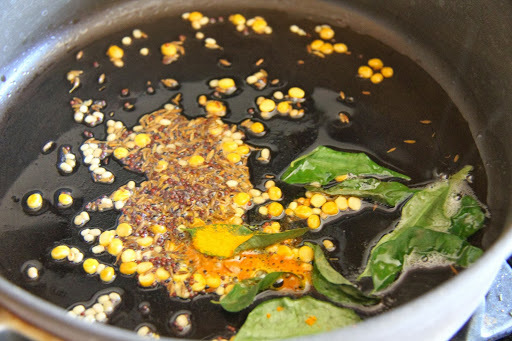 1.Heat oil in the pan,add chana dal and urad dal and let brown lightly,add the turmeric, mustard,cumin and curry leaves and let splutter. 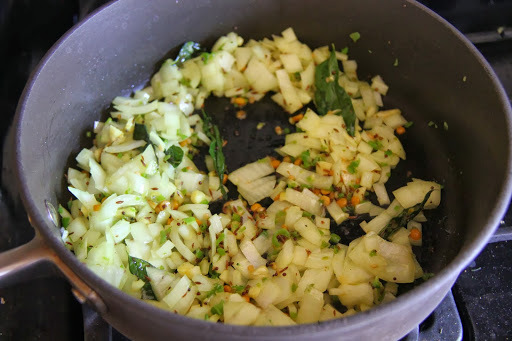 2.Add the salt green chili and onions and saute till golden brown.Add ginger garlic paste and saute for 1-2 minutes. 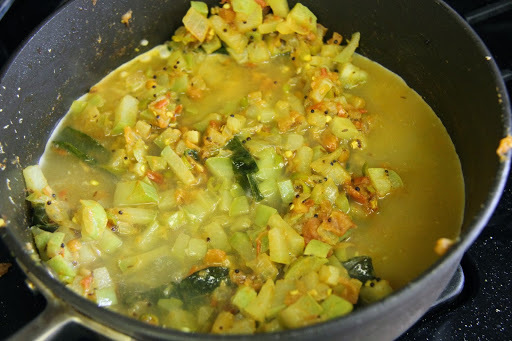 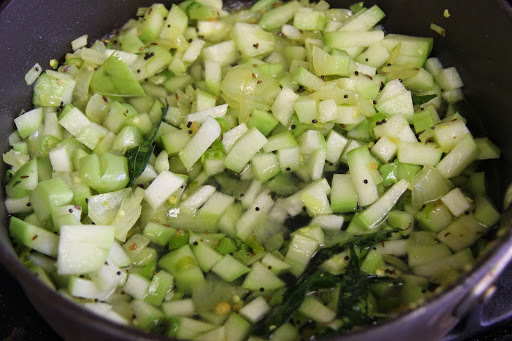 3.Add the Chayote and saute for 5 minutes. 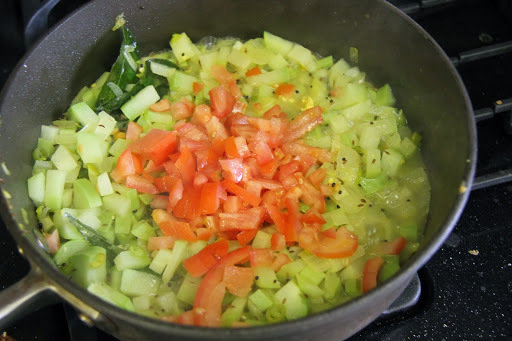 4.Add the tomato,mix and cook until the tomato gets soft. 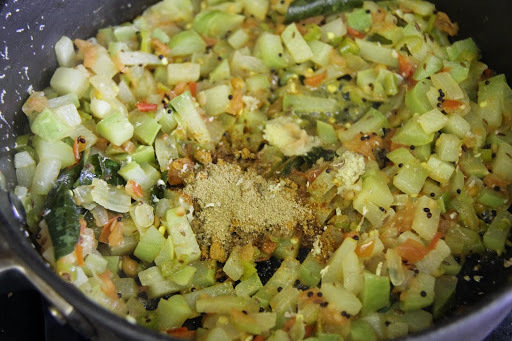 5.Add dhaniya powder and mix well. 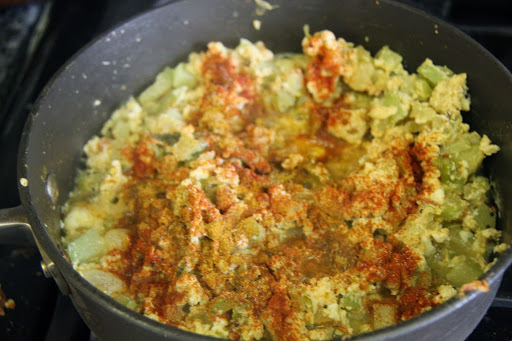 6.Add eggs and stir well till it separates into small pieces.If you need more spice add red chili powder and mix well,let cook for 2 more minutes and turn off the stove. 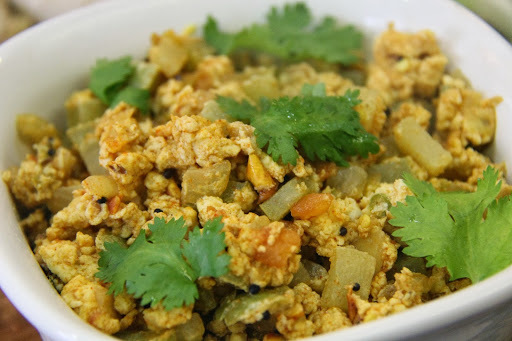 Serve with rice or roti or bread.